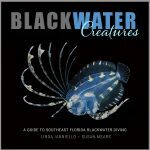 This gallery is a compilation of the fish that I have photographed during black water dives. I have attempted to provide an ID for each, at least to a common name. Scroll down to see them all (in alphabetic order by common name). Click on any image to see it full-size and start the slide show.